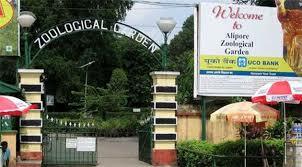 Alipore is India's oldest formally stated zoological park and a big tourist attraction in Kolkata, West Bengal. It has been open as a zoo since 1876. The zoo is located next to river Ganges and very near to race course and police training school and opposite to the famous hotel Taj. One of the most popular tourist attractions in Kolkata, it draws huge crowds during the winter season, especially during December and January. The highest attendance till date was on December 25, 2016 with 81,000 visitors. The zoo is well connected by bus with Howrah and Sealdah train stations. Bus routes from Howrah: Sakherbazar & Thakurpukur mini bus Bus routes from Sealdah: 235 Bus routes from Esplanade: 77a, SD9, SD9/1, Sakherbazar & Thakurpukur mini bus. Opening time & Closing time :- 24 November to 23 December10am3.30pm Sun 24 December10am3pm Christmas Day & Boxing Day Closed Closed Wed 27 December - Sun 31 December10am3.30pm. Santiniketan is a small town near Bolpur in the Birbhum district of West Bengal. It was established by Maharshi Devendranath Tagore, and later expanded by his son Rabindranath Tagore whose vision became what is now a university town, Visva-Bharati University. 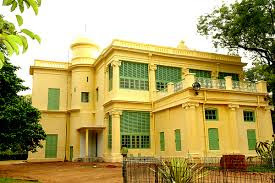 Shantiniketan has become a major tourist spot because of its association with Rabindranath Tagore, one of India's and Bengal’s greatest figures. Rabindranath Tagore started Patha Bhavan the school of his ideals. After he received the Noble Prize (1913), the school was expanded into a university. Many world famous teachers have become associated with it, and Indira Gandhi was one of its more illustrious students. 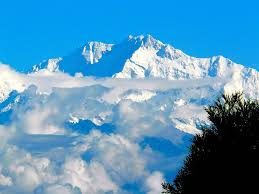 Darjeeling is a town in Indian state of West Bengal. It is located in the Lesser Himalayas at an elevation of 6,700 ft. It is noted for its tea industry, its spectacular views of the Kangchenjunga, the world's third-highest mountain, and the Darjeeling Himalayan Railway. It is also a popular tourist destination in India.